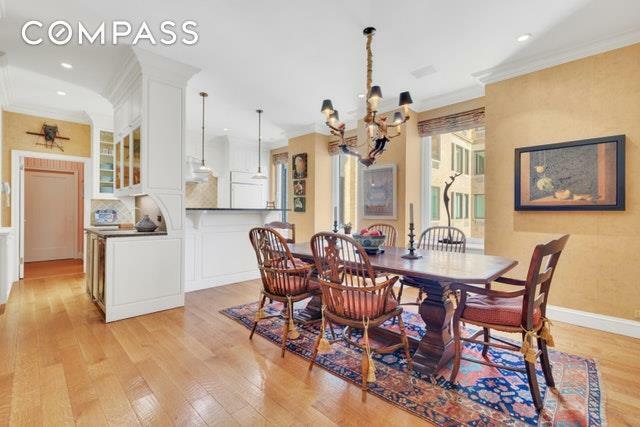 Gracious Three Bedroom with River ViewsEnter this magnificent six-room home through a gracious foyer and into a 27ft. 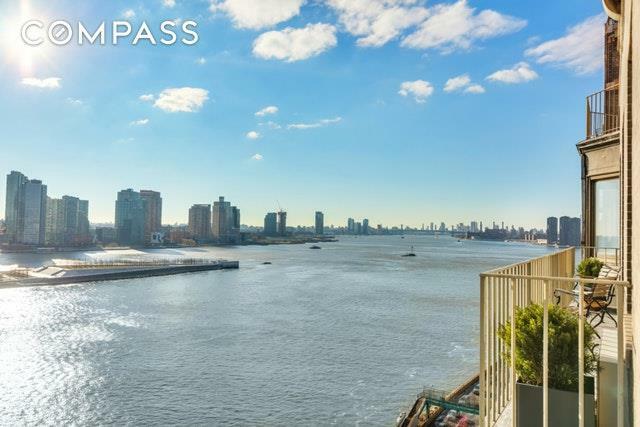 long living room with unrivaled views of the East River, Roosevelt Island and beyond. A wood burning fireplace is highlighted here with wonderful ceilingheights and pre-war details. Just off of the living room is a Juliet balcony, a perfect spot to sit and take in the views. 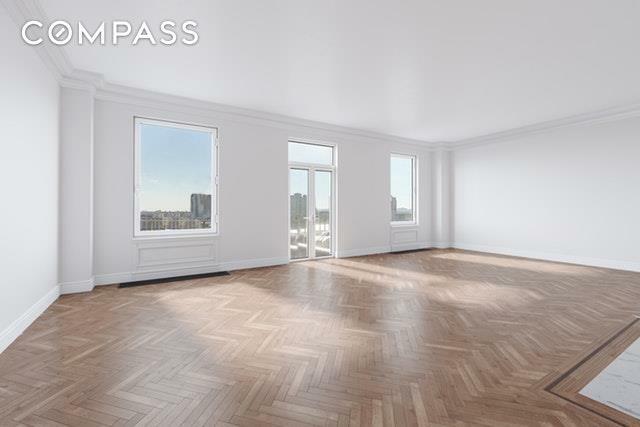 Adjacent to the livingroom is the master bedroom with equally impressiveproportions and views. A separate sitting area, situated in the middle of a beautiful bay window, is the ideal location to relax and read a book or just daydream. The en-suite bathroom has a separate, double sink washroom and features a walk-in shower clad in limestone. As you continue down the hallway you will find a cozy library or second bedroom with bath en-suite. There are two large full pane windows, which allow wonderful light and a glimpse of the river. 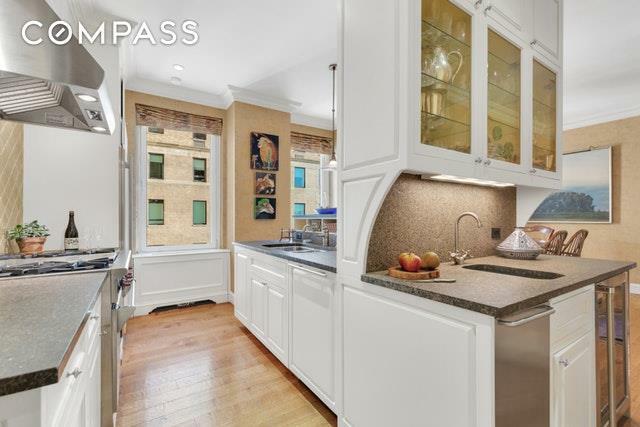 The west end of the apartment features a windowed open kitchen that is tastefully appointed with top-of-the-line finishes, plenty of storage and abundant counter space. An adjoining dining room is the perfect place for formal entertaining or casual everyday use. A third bedroom is located just next to the kitchen and has its own bath situated just outside the room. A separate laundry room, a powder room and original hardwood floors throughout complete this unique home.Distinguished by its old world charm, River House is one of the highly revered buildings in the city and offers its residents unparalleled service and tranquility. Erected in 1931 and designed by William L. Bottomley, the building sits on a cul-de-sac and has a 27-story tower adjoined by two 15-story wings on each side. There are 5 passenger elevators as well as 5 service elevators located conveniently to serve the apartments. The building houses 80 residences and 36 in-staff. Its special features include world class service, 24/7 staff, a private cobblestone motor court, and lush landscaped gardens.Residents can opt into exclusive membership access to The River Club. The health club set itself apart from the start as a full-service sporting and social club. It rests on the lower floors of the River House and features squash courts, tennis courts, 2 state-of-the-art golf simulators, a fitness center, swimming pool, library, ballroom, guest rooms and a resident only dining room and bar overlooking the river.Pets and pied--terre permitted. 3% flip tax paid by purchaser. There is a Capital Assessment in place; the following payments remain: $27,750 due in July 2019, $27,750 due in January 2020, $27,750 due in July 2020 and $27,750 due in January 2021.